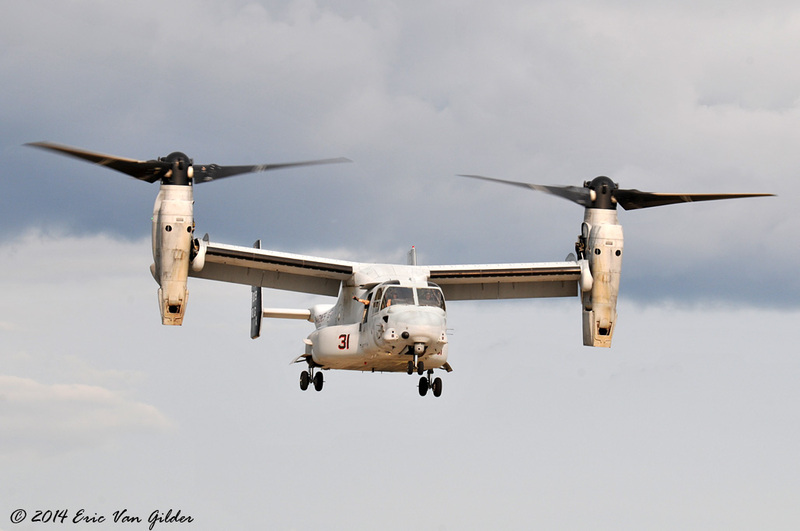 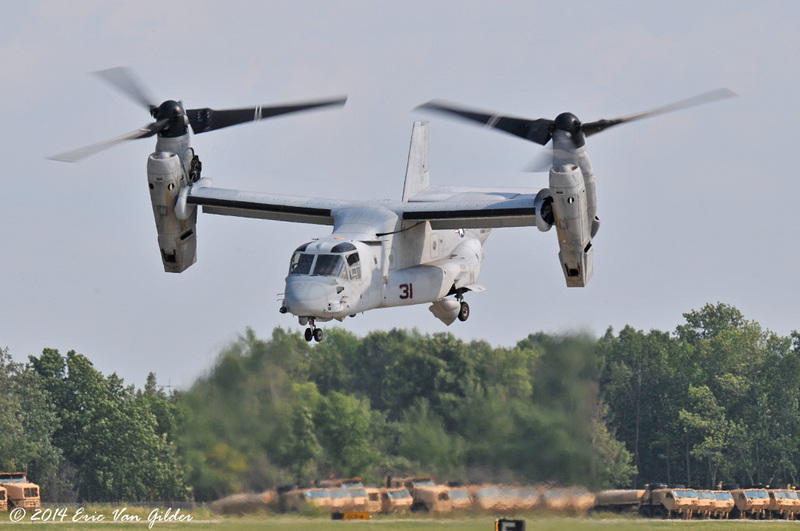 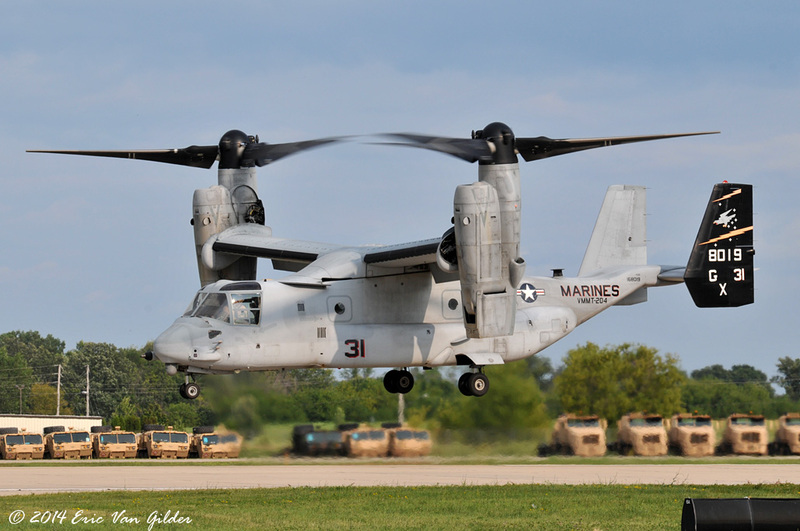 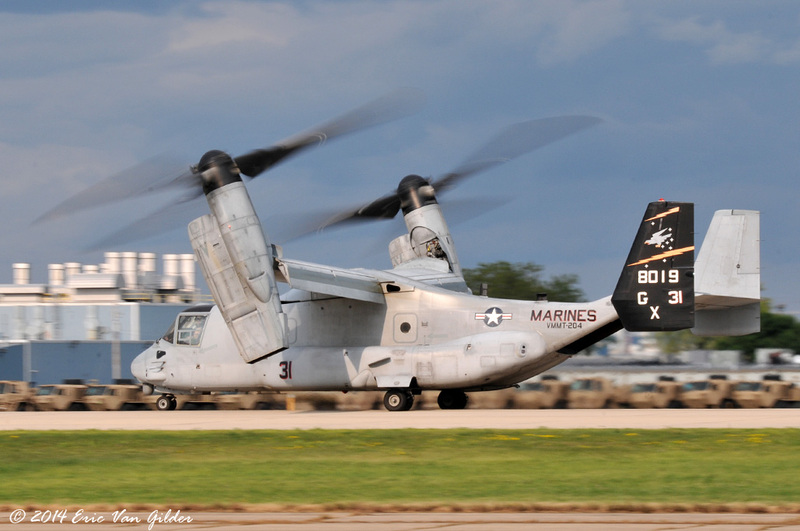 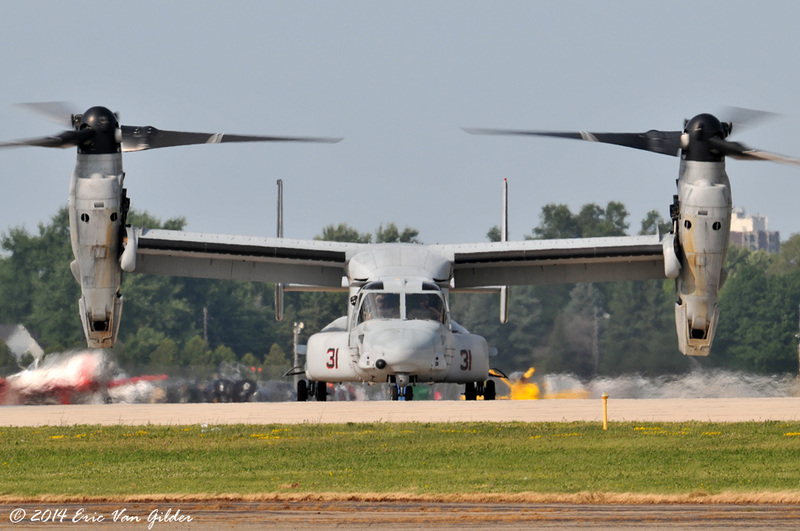 The USMC VMMT-204 "Raptors" Marine Medium Tiltrotor Training Squadron brought 2 MV-22 Ospreys out to AirVenture to demonstrate the capabilities of this aircraft. 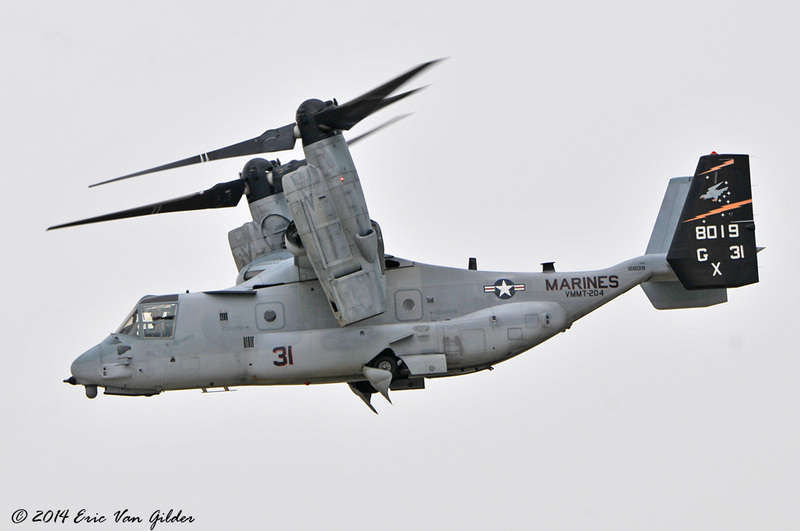 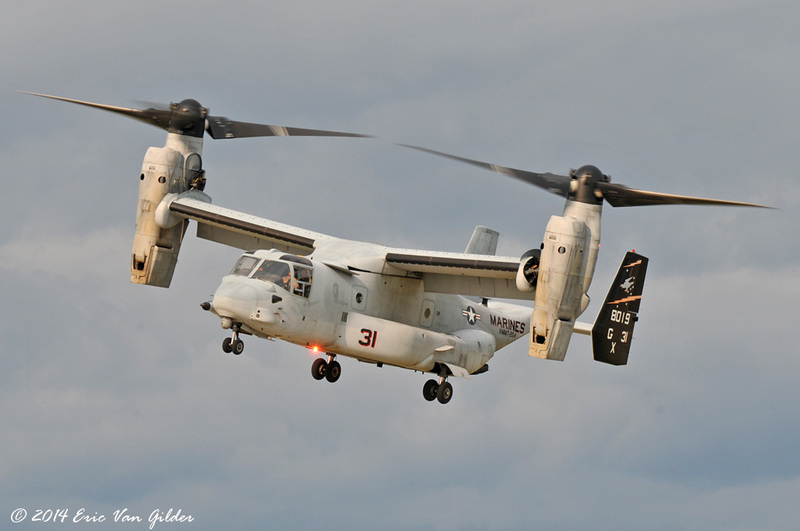 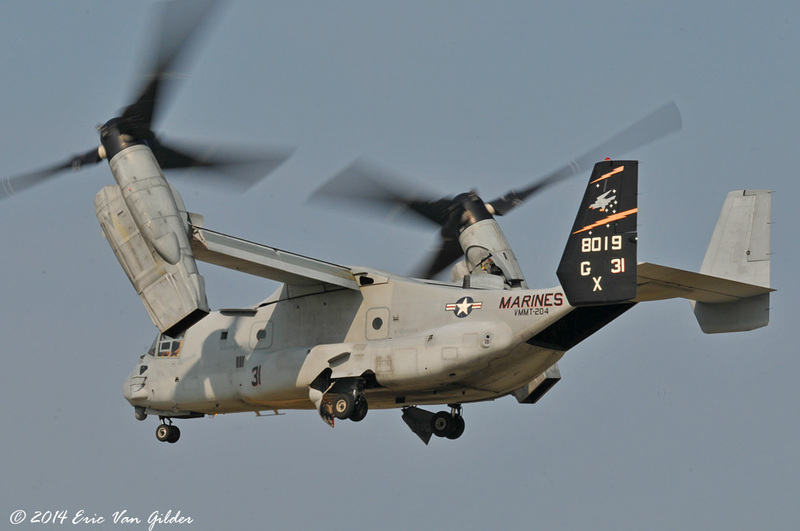 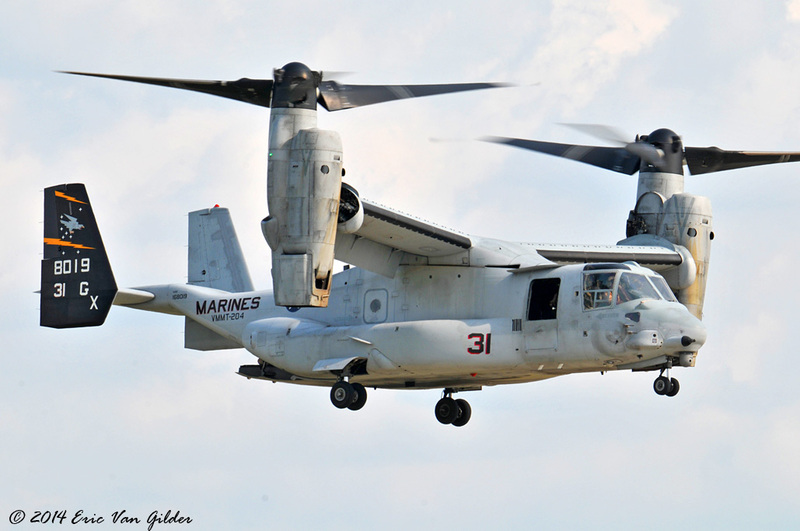 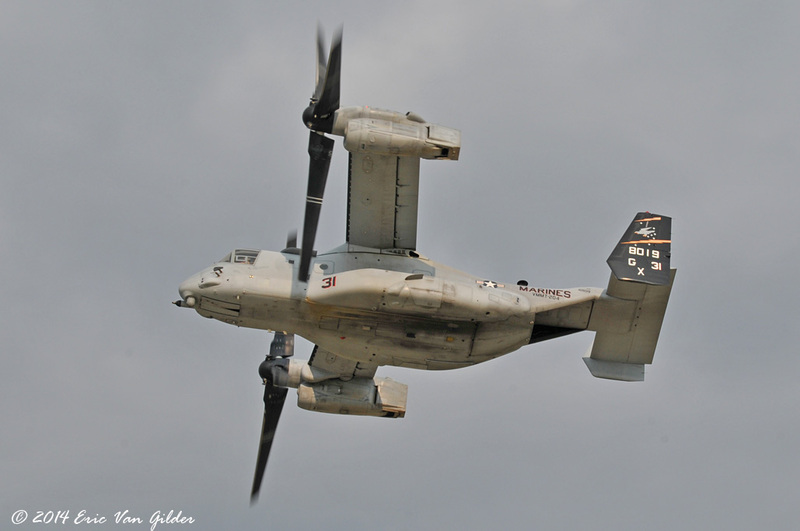 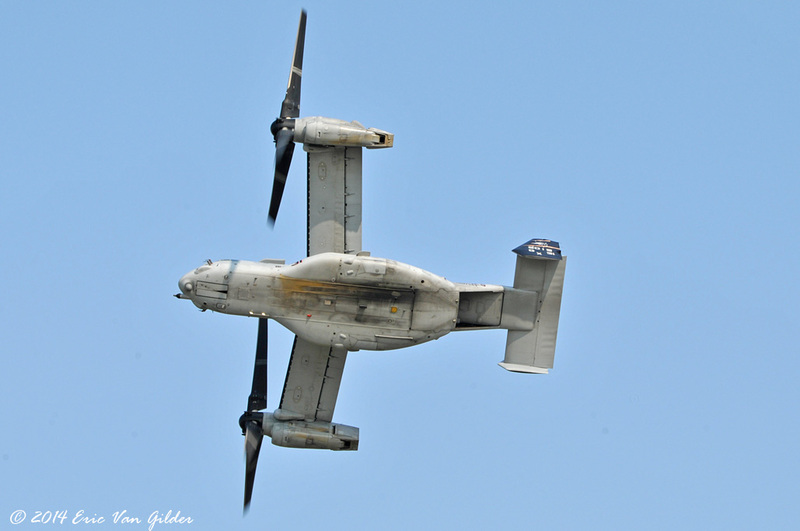 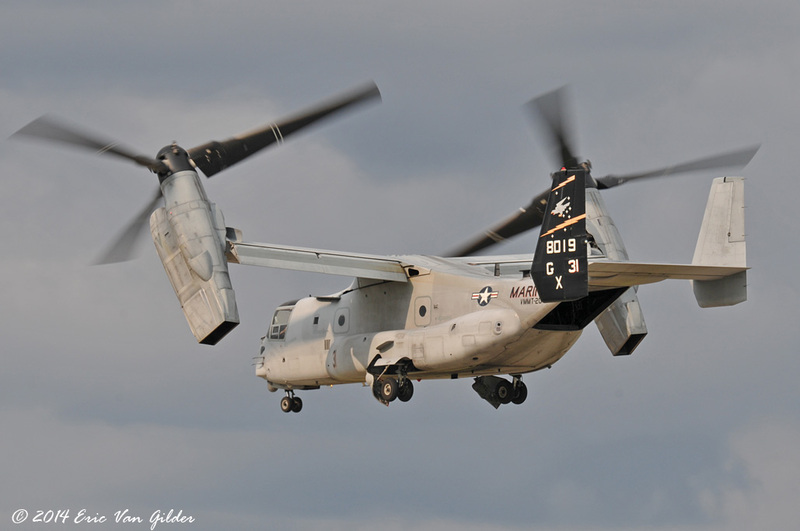 The Osprey entered US military service with the Marine Corps and the USAF in 2007. 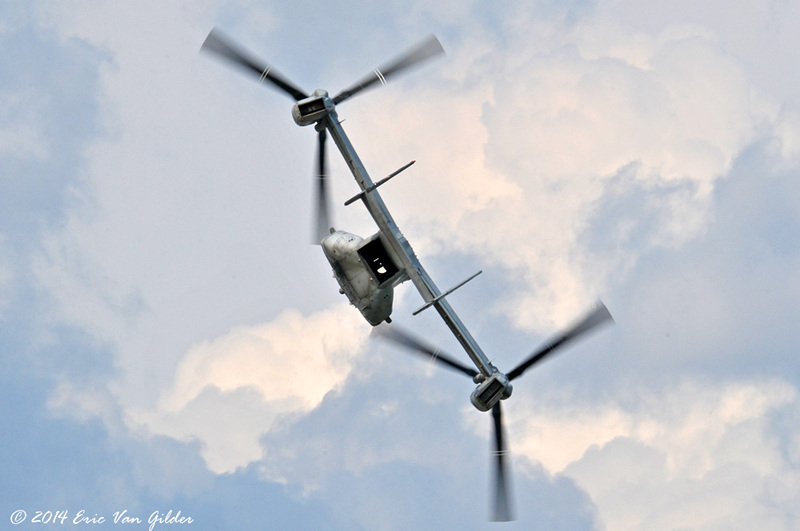 The Osprey has seen service in Iraq, Afghanistan, Sudan and Libya. 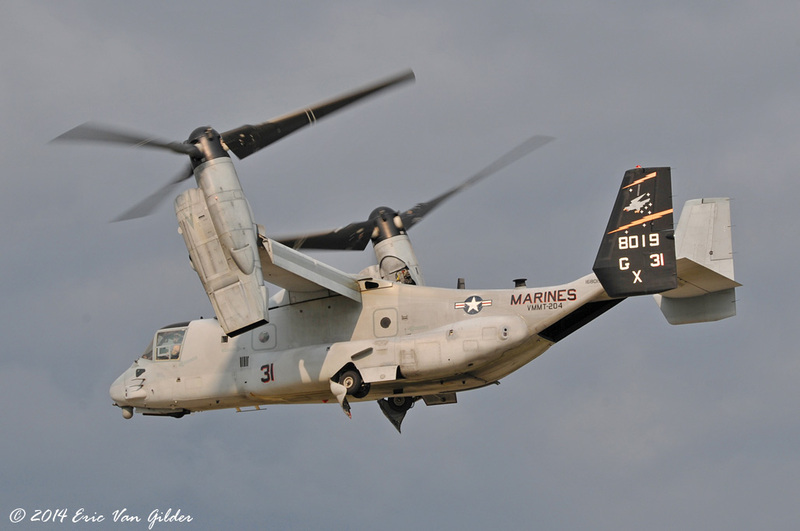 There are several variants of the Osprey, depending on the mission it is involved in. 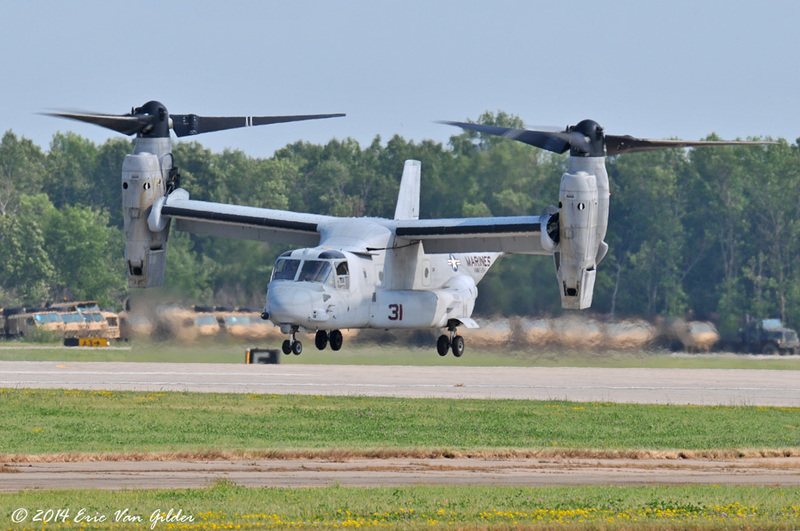 The flight demonstrations flown at AirVenture wowed the crowds with it's capabilities.